As taxpayers, we are still paying for the upgrading and maintenance of railways that was neglected during 15 years of private ownership. However, the reality is that Michael Fay is leading a New Zealand consortium to buy the 16 Crafar farms. These farms amount to 11,000ha of property throughout the central North Island. Their transfer into foreign control would be a significant loss to the NZ economy. There are three major issues highlighted by this story, and another, that convincingly illustrate why overseas investors should be permanently denied ownership (or even leasing) of our productive farmland. This illustrates the risk of permitting foreign interests to bid for our farms. Foreign investors (generally) have very, very deep pockets. When even a millionaire such as Michael Fay can be out-bid – we need to ask ourselves how ordinary New Zealanders can compete with foreign investors. 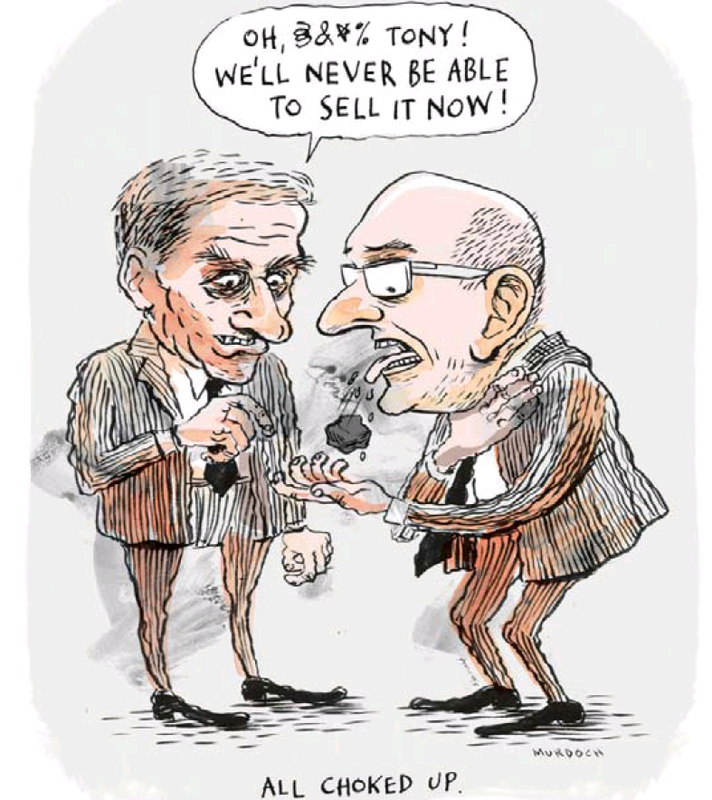 In a bidding war, New Zealanders will always lose. Our sons and daughters have zero chance and nil opportunities to own a slice of our country’s natural wealth, when faced with the near-limitless resources from overseas buyers. We may not like Michael Fay, but at least he represents an opportunity to keep the Crafar farms – and the wealth they create – in local ownership. That he is unable to acquire these properties because he has been out-bid to the tune of $38.5 million dollars is disturbing. I believe it is a sign of things to come. If true, then the question that begs to be asked is: why? Why are overseas investors willing to pay inflated prices for our productive farmlands? The answer is not very complicated nor obscure. The human population on Planet Earth has reached 7 billion. By 2050AD it is estimated that the population will reach 9 billion. All 9 billion will require food – lots of it. And unfortunately for the Human race, there is only a limited amount of arable land on this little planet of ours. With ongoing desertification, arable land is reducing each year. Soil erosion is another factor in this problem. On top of that, as populations increase, so does pressure on food supply. In countries such as India and China, as their middle classes grow and become more affluent, they will demand access to more and better food. Countries such as New Zealand offer sources of clean, well-processed, safe, reliable, sources of protein. In other words: supply and demand. Just as the U.S. has cornered oil supplies in the Middle East, growing economies in the East and elsewhere will look to “cornering” nett-food suppliers. It is interestimng that the Prime Minister, John Key, alluded to this matter at a public meeting in Lower Hutt, on 24 May. He stated that China’s centralised, autocratic government could not afford to risk disruption to their domestic food production; a hungry population; and a subsequent “Arab Spring”-style uprising. No government on Earth could withstand one billion hungry people in revolt. Key hinted that China’s acquisition of land in Africa and here in New Zealand was based on a strategic need to secure food sources. If true, money is no object. After all, you cannot feed money to hungry mouths. In which case, it is little wonder that Shanghai Pengxin’s offer for the Crafar farms is “over a certain price level“. China is not interested in selling the food for profit. It is seeking the food for it’s own population. Because by 2050, one billion Chinese will have eight billion other competitors seeking the same food source. “… while it initially intends to continue supplying Fonterra with raw milk investment plans include working “in partnership” with an existing processor to develop baby formula, ice cream and cheeses suitable for Asian markets. “We do not intend to be simply a customer of a dairy processor. “To ensure the processor can produce long term and if they needed to increase their capacity to do so then we could help them with that. Again, no individual New Zealander(s) can hope to compete against that kind of long-term acquisition-strategy. The OIO (Overseas Investment Office) usually takes between 30 working days (Category 1 applications) to 70 working days (Category 3 applications). Source. It has been approximately 115 working days since Shanghai Pengxin lodged its application with the Overseas Investment Office. (a) the OIO has mis-placed Shanghai Pengxin’s application (have they looked behind their cafetaria sofa?). (b) the OIO has been “requested” by the Minister-in-charge to “review” Shanghai Pengxin’s application. And to report back sometime after the election. The sale of the 16 Crafar farms is politically explosive. It would do to National what “Corngate” did to Labour in 2002. National cannot risk this matter affecting their re-election chances in November. 1. We will not see a decision from the OIO any time this year. 2. 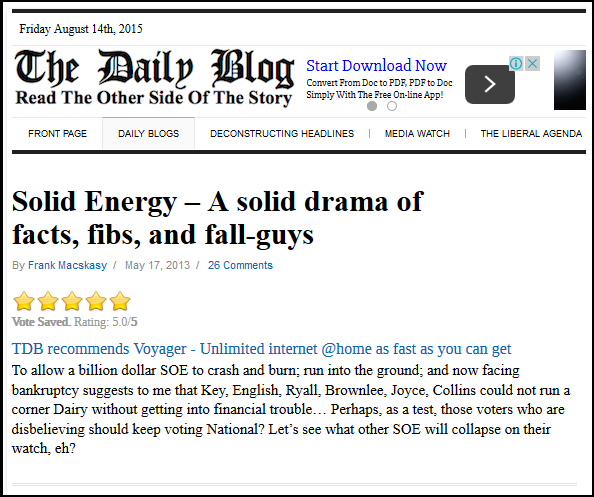 The Fay-led consortium will fail. 3. The Shanghai Pengxin application will be approved. The sale of New Zealand will accelerate, and with the apathetic acceptance of the majority of New Zealanders. Fay said the group of farmers had “serious concerns” about the state-owned farming corporation’s role with Shanghai Pengxin, whose bid for the 16 in-receivership dairy farms is conditional on getting Overseas Investment Office consent. “Landcorp is well known in the farming community for buying farm land in competition with locals – effectively using taxpayers’ money to outbid those same taxpayers,” Fay said. Fairfax revealed recently that Landcorp was in preliminary talks with Pengxin for the job of managing or sharemilking the farms if the Chinese company is successful in buying them. It has been nearly seven months since Pengxin applied to the OIO for consent. Fay said Landcorp seems to have become “utterly confused” about its purpose and could have allowed itself to be used as a pawn in the deal – “just to give the Chinese bids an acceptable local face”. Fay’s group has offered receivers KordaMentha $171.5 million for the farms. Its bid has been declined as too low but the farmers consider their offer “still live”. Through its OIA request, the farmer group has asked Landcorp to provide all details of its dealings and correspondence with Pengxin, any correspondence it may have had with the OIO, and all correspondence between Landcorp and an unsuccessful bidder for the Crafar farms, Chinese group Natural Dairy and May Wang’s UBNZ companies. The farmers say they are making a single bid for the Crafar farms because the receivers require it, but if successful they would split the farms up between them to be owner-operated. Why is Landcorp – a State Owned Enterprise (SOE) – working with overseas interests rather than local investors and taxpayers? Is this an acceptable use of taxpayers’ money and resources? What is the government’s position on a SOE working with a foreign company, against New Zealand investors? Has Landcorp offered to work with the Fay-led consortium? If not, why not? Perhaps it is appropriate for these questions to be put to Landcorp’s Chief Executive, Chris Kelly, and Shareholding Minister, Simon Power? – To exhibit a sense of social responsibility by having regard to the interests of the community in which it operates and by endeavouring to accomodate or encourage these when able to do so. None of the above seems consistent with supporting a foreign-based investor-takeover of New Zealand farmland, instead of a local initiative. Landcorp appears to be supporting Shanghai Pengxin’s bid to purchase the Crafar farms over an offer by a local consortium, led by Sir Michael Fay. 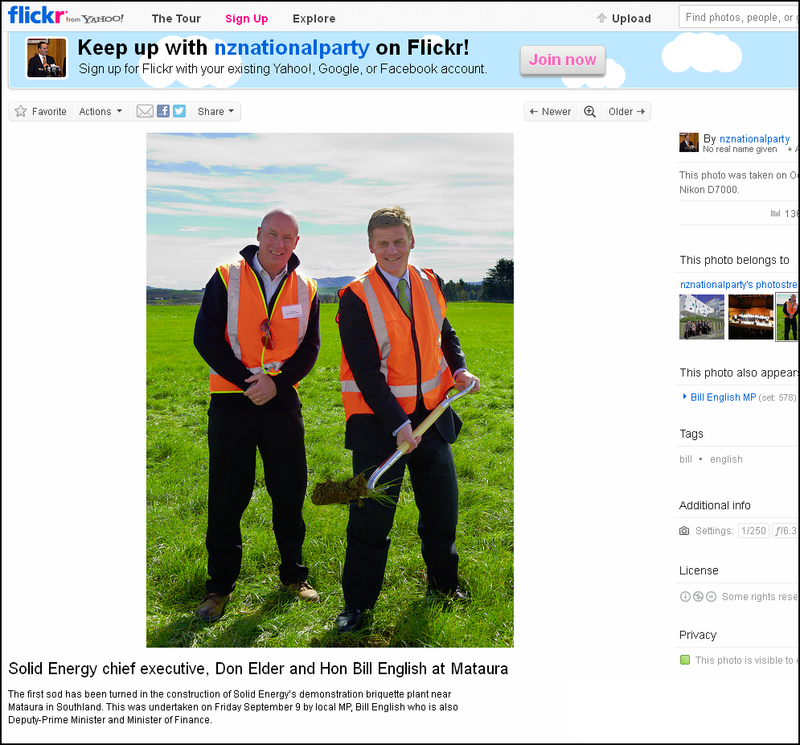 Could you please explain how a New Zealand crown-entity – namely Landcorp, which is owned and resourced by New Zealand taxpayers – can appear to be supporting a foreign bid to gain control of large areas of productive New Zealand farmland; soliciting business from said investors; and thereby undermining a local bid? In view of the above stated objectives, it would appear to make better sense if Landcorp were to support the Fay-led consortium, rather than overseas interests. Considering that Landcorp is owned by New Zealand taxpayers, it seems to be a fair expectation that Landcorp support local investors rather than overseas individuals and/or corporations. I await your response to this matter. 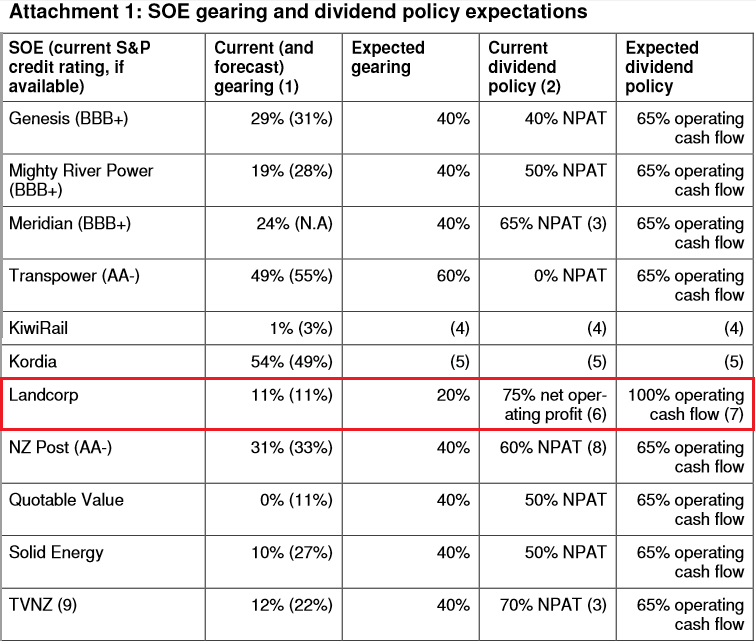 If and only if Pengxin have OIO approval to buy Crafar farms might Landcorp be involved in managing the farms. Land corps preferred option was to buy them ourselves. We would be happy to work with the Fay consortium.We have not been approached by them. Landcorp has not been in contact with the OIO to assist Pengxin to buy the farms. 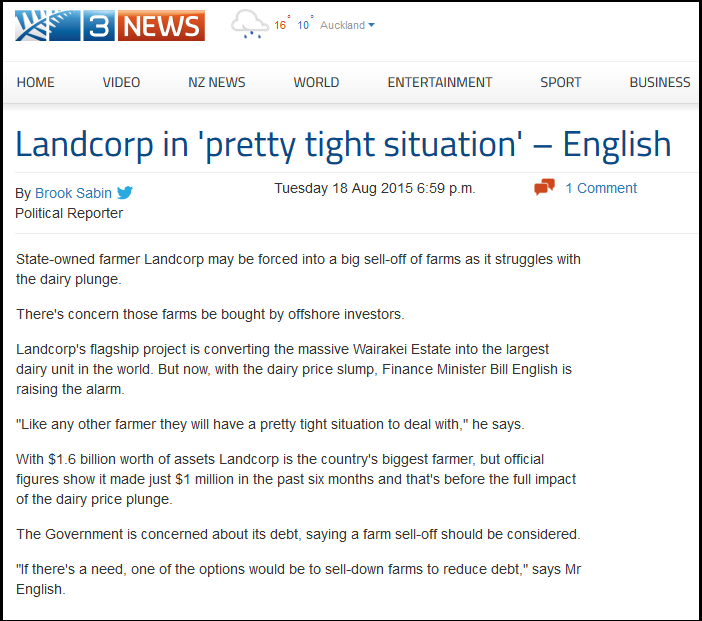 Has Landcorp considered approaching the Fay-led consortium to offer a joint-bid for the Farms? If not, why not? Thank you, in advance, for any light you can shed on this issue. We have not approached Fay.He represents a group of local farmers who want to break up the farms and run them as separate units.Landcorp wants to run them as a combined group. Which is interesting. If Shanghai Pengxin buys the farms, there would be no guarantees how they are operated. Landcorp will have no control over their management whatsoever. As a partner, in a Fay-led consortium, Landcorp would have a measure of control. Labour on farm sales – NOT good enough! Not all con-artists are in prison. As far back (or even further, if one looks harder) as 2006, National (and it’s little “buddy”, ACT) was advocating privately-run prisons as a means of saving taxpayers money. They were supposedly more cost-effective, and would save the country considerable sums of money. Power was effusive in his enthusiasm for privately-managed prisons, going so far as to quote Treasury documents which also promoted the concept. 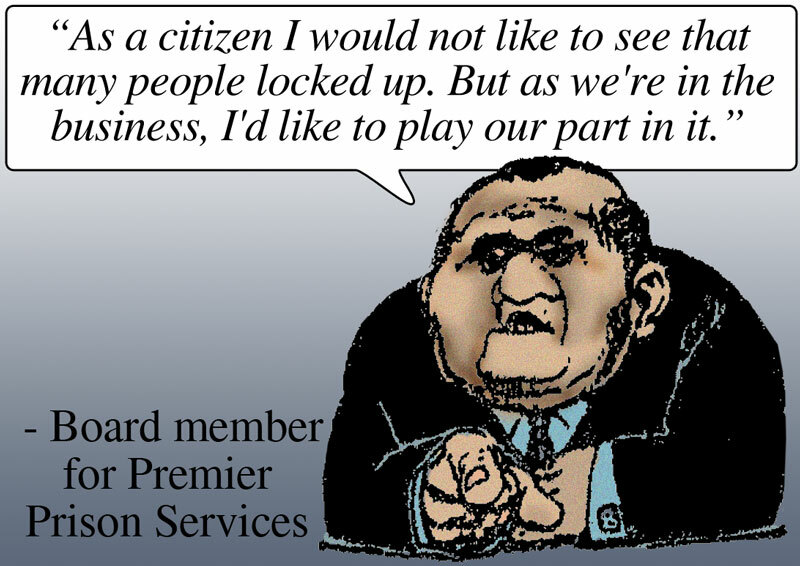 “Action: Bring back private prisons – now best practice overseas. Let private firms free up cops for ‘Zero Tolerance’ policing. Speed up courts (eg. night courts) to reduce unfair delays. Throughout the press releases, and policy documents, both National and ACT complain that “Labour’s objection to private prisons has been ideological”. It is also interesting to note that National compares the figure of $42,720 per prisoner per annum, over a five year period with that of $52,925 over a two year period. Neither of National’s references provided on their policy paper can be verified on-line. So it seems that National may be comparing an average figure over five years with an average figure over two years, which results in privately-run prisons appearing to be a cheaper option. As someone infamous once said, if you tell a lie big enough and keep repeating it, people will eventually come to believe it. In November 2009, the year-old National Government passed legislation – under Urgency – permitting prisons to be handed over to private companies for management. Quite why this piece of legislation was considered “urgent” has never been made clear. Corrections Minister Judith Collins claimed that National’s previous experiment in privately-run prisons, in the late 1990s had been “generally positive”. ACT’s Law & Order spokesperson, David Garrett, stated that ” international data showed privately run prisons were cheaper and delivered better outcomes“. Labour’s Lianne Dalziel pointed out that ten out of eleven British prisons were in the bottom 25% of all the prisons on performance measures. Privatising Auckland prison is a dangerous precedent that will increase costs and compromise New Zealand’s justice system, said the Green Party today. John Key’s Government announced yesterday the joint Mt Eden-Auckland Central Remand Prison (ACRP) will be run privately. The corporation to run the prison will be announced by the end of the year. As for Corrections deputy chief executive Christine Stevenson claiming that “costs were high because it was New Zealand’s first PPP prison” – one wonders where she’s been for the last ten years?! Has Ms Stevenson no knowledge of National’s previous experiment with privately-managed prisons? The Auckland Central Remand Prison (ARCP) was under private management from 1999 to 2005, after which the former Labour Government did not renew the contract. If six years of private prison management has not privided the necessary experience to prevent spending $21 million on “consultants” and “internal costs”, then what confidence is there that this exercise will not end up costing the tax-payer vast sums of money? The whole point of this exercise is that private enterprise has the necessary expertise and experience to put this project together. Thus far there appears precious little indication that private management is most cost effective or efficient than State management. However, as Damien Cahill and Jane Andrew write (“Privatisation and New South Wales Prisons: Value for Money and Neo-liberal Regulation”), the privatisation of prison management is not simply about cost-effectiveness per se. Instead, it is more about driving down employees wages. It seems that not all con-artists are in prison. 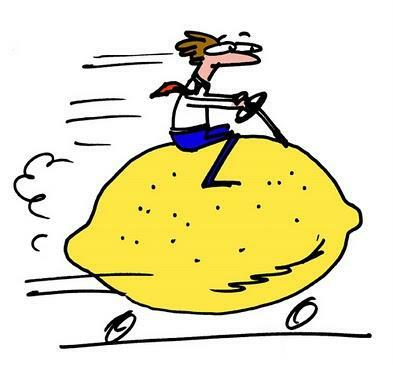 Some are busily trying to sell us a “lemon”. A bloody expensive one at that. 1. One of the references in the National Party 2008 policy document – Dom Karauria, General Manager of Auckland Central Remand Prison (ACRP) – was an employee of GEO Group Australia Pty Ltd – the private contractor that managed the ACRP from 2000-2005.
within and outside its control. “Privatisation is not about cost savings. If that’s all you want to achieve I am saying that you are knocking at the wrong door.